White Glob is a beautiful antique treasure from China with large 3-3 1/2" round roots that are creamy white outside with a full central burst of watermelon rose. Flesh is crispy and mild, with a sweet flavor perfect for salads, garnishes or cooking. Best sown in late summer for fall crop. Radish, Watermelon is rated 3.8 out of 5 by 12. Rated 1 out of 5 by Francisco from Disappointed I planted them as instructed. They bolted and produced only long skinny radishes. Waste of time and money. Rated 5 out of 5 by Deee from Great radish Planted these first timers and had a BUMPER crop of them. Great flavor, great texture. I left some in because I had too many, and they kept growing! I had some that grew up out of the ground by 12 inches!!!! really neat appearance with the colors. Rated 5 out of 5 by Leopard825 from Awesome Radish!!! I like radishes but don't usually LOVE them but this is a radish that I LOVE!!!!! They are large, beautiful, and much more mild than the radishes you find in the store. They have a sweet flavor and the longer they stay in the ground the sweeter they are. They are great to slice into thin wedges and eaten raw (with or without dip) or make a beautiful and tasty addition to salad. We received many compliments on these and I will definitely be planting more!!! They do do best in cool weather so we planted them for a fall/winter crop. Rated 5 out of 5 by Zone6Guy from Love this radish Well, I don't like radishes much, but this one is different. It mellows with time instead of getting harsher. It has an exceptional taste, especially with blander foods, sort of peppers them up without being too harsh. Do peel the skin though. This radish is very beautiful when sliced open, just like the picture here. As for growth, in zone 6 it's awesome. I had nearly 100% germination and healthy growth. The bugs and rabbits left it alone very well also. I will be growing this one as long as I'm gardening. Rated 2 out of 5 by SamB from Will try again in cooler weather. 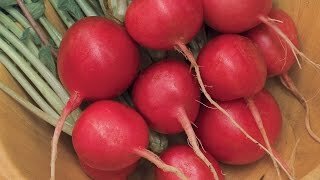 I tried beating the odds and tried growing radishes in the summer. While I did get French Breakfast radishes---though they turned quite bitter because of the summer heat---I didn’t get any bulbs to form with the Watermelon Radishes. However, the germination rates were great and I did get a lot of greens. 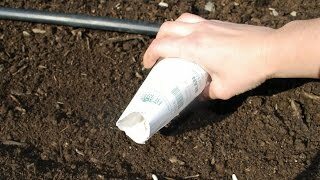 Rated 1 out of 5 by DigsDirt from No radish formed Bought seeds and split them among three gardeners. No radishes formed for any of us. We've been eating the greens, but I'm sad that there are no bulbs to slice on my salads. Rated 4 out of 5 by dirtpusher from What a Radish!!! Because of our weird unusual weather I am just beginning to harvest my crop. I will really take care to space them further apart in the future so I find them before they are 3-4" in diameter. Very spicy and am now searching for recipies to use them up. Rated 5 out of 5 by DreamingOfAutumn from Great For Your Fall Garden These radishes are sweet and mild, still with a slightly bitter bite, but not as spicy as some of the other radishes I've tried. A word of warning: do not grow these in the spring. They do not fair well in warm weather. The first batch I planted in mid-spring (according to Burpee's sowing directions) went directly to seed (we did have an abnormally warm spring and hot summer). After doing some research online I found that these are meant to be planted for fall harvest. I planted again at the beginning of September (zone 5) and they did fantastically. They are HUGE, a good 3"+ each. The greens are also delicious. I highly recommend these.